An STI that often gets misdiagnosed is in the spotlight this month as British health groups issue guidance to try to prevent the infection from being the next superbug. The British Association of Sexual Health and HIV (BASHH) issued the guidance this past week saying that the STI, known as known as Mycoplasma Genitalium or MG, has flown under the radar for too long, and that could be dangerous. The draft guidelines are meant to set a firm “best practice” for treatment. To understand why they are so important, it’s good to know a bit more about mycoplasma genitalium. 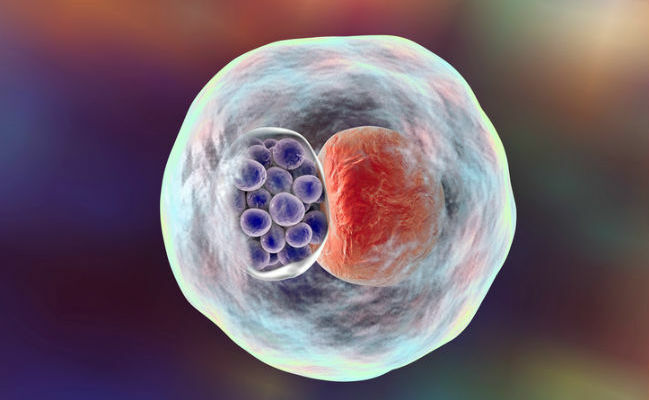 The infection may have been around since the 1980s or even earlier, but researchers first confirmed it as a sexually transmitted infection in 2015. Since then, clinicians have sought to understand the full scope of what mycoplasma genitalium can do and how it can affect our health. Mycoplasmas are small organisms that live in a variety of places but are well-suited to colonizing our reproductive organs. As a result, unprotected sexual contact can pass them on. The infection can cause inflammation of the urethra in men that can be uncomfortable and even painful. In women, however, the inflammation can be worse and may extend to the womb and fallopian tubes. It may result in pain and bleeding, and there is evidence of an infection raising the risk of reduced fertility or even complete infertility. More general symptoms include pain when urinating, as well as discharge and extreme discomfort. However, some people will have no symptoms whatsoever, and as a result may never need to seek treatment. It’s estimated that between one and two percent of the UK population may have mycoplasma genitalium. Why Are Doctors Worried About Mycoplasma Genitalium Becoming a Superbug? Until now there has been little standardized information on how to spot MG and how to treat it. This has led to doctors frequently misdiagnosing MG as other STIs, like chlamydia. The disease is highly treatable with antibiotics, such as doxycycline and azithromycin. However, in recent years it started to show resistance to another antibiotic family, macrolides. This, clinicians say, is a result of the infection being mistaken for other infections and treated with ineffective families of antibiotics. Unfortunately, macrolide resistance is now at 40 percent in some tests, with similar statistics echoed across the globe. In essence, this family of antibiotics is failing, and it won’t be too long before it becomes too ineffective to have clinical worth. The BASHH guidelines also make clear that misdiagnosis isn’t the only problem clinicians face. They say that “seven in ten sexual health experts” have reported that they have not yet been given the resources for the diagnostics tests for MG. While clinics can send off samples to Public Health England for testing, due to time and resources, this is not a viable option for most clinics, particularly if they want a quick turn around. The BASHH guidelines say all this needs rectifying, with public health spending allowing people to get tested as part of routine sexual health checkups. It is also imperative that sexually active people are aware of the symptoms. Talking about superbugs can sound alarming, but sensationalism is not what this warning is about. Rather, BASHH is trying to get ahead of antibiotics resistance to make sure that MG doesn’t become a major infertility problem. Fortunately, the steps to treating MG are relatively easy. Now, government health spending must help support this drive to ensure MG is kept in check. I can't even handle the flu or a cold. Anything that leads to mucus.